Tahong or Green mussels were once regarded as pests because they competed for food and space in oyster farms. 1. Place the cream cheese in a bowl and mash using a potato masher. 2. Add fresh basil, chives and garlic. Season with salt and pepper. 3. Mix well to blend. 4. 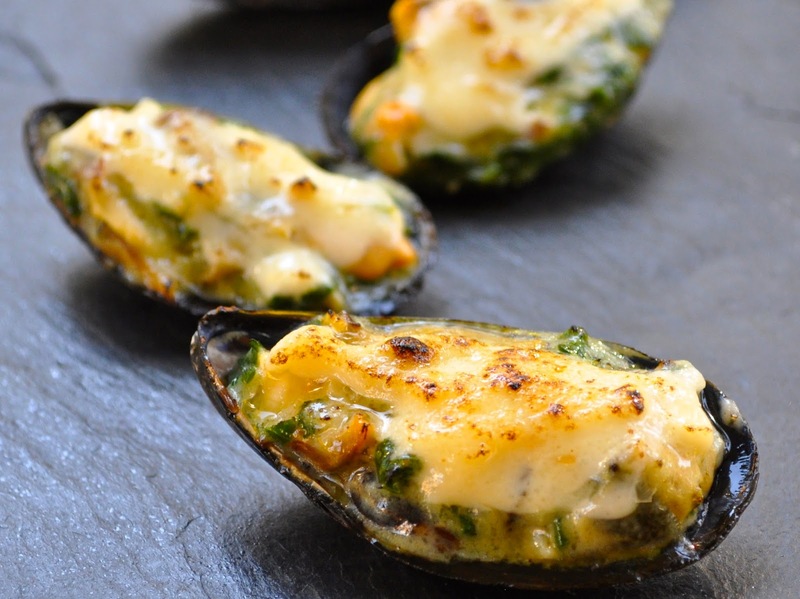 Place an amount of the cream cheese mixture on each of the mussels. 5. Sprinkle with bread crumbs. 6. Bake in an oven toaster until breadcrumbs turn golden brown. 7. Add a pea-sized dollop of Japanese mayonnaise on top of you mussels to improve flavor and texture.